the unaided human eye on a clear moonless night. distance from the Sun. It completes a full orbit every 34 hours. 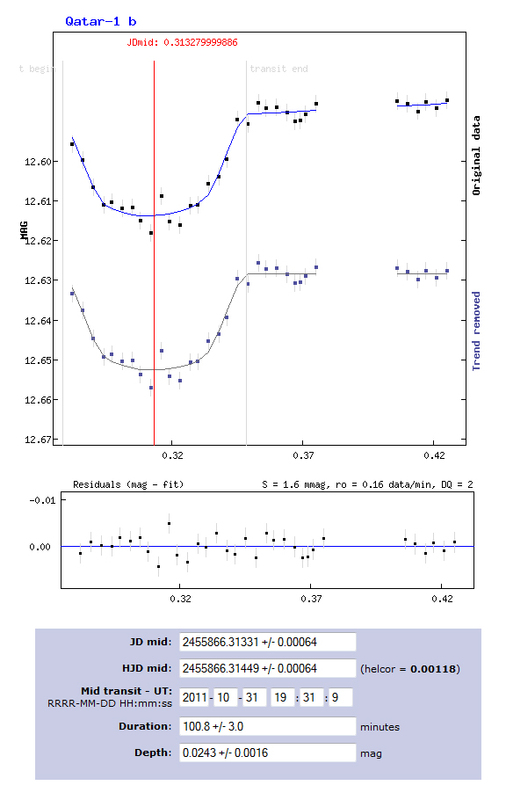 This is my first exoplanet transit measurement using my home equipment. What a development has taken place from the first discovery of an exoplanet until this day where amateurs can see them with their own equipment! To obtain the light curve images were made of 60s exposure time. These images were stacked per 5 and then photometry was performed. Of course darks, flats, darkflats and bias images were used!